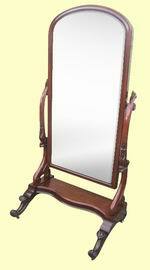 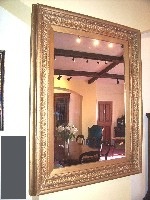 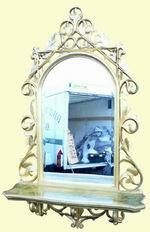 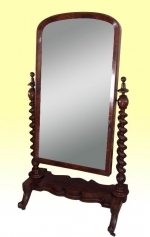 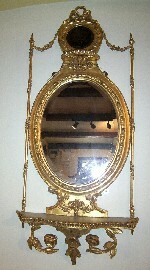 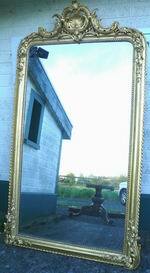 Antique Gilt Overmantel Wall Mirror With Waisted Frame retaining its original water-gilding in stunning condition. 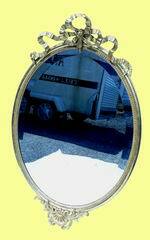 Original mercury mirror plate with light foxing. 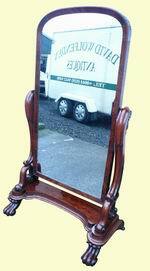 Original backing board and white ceramic bun feet. 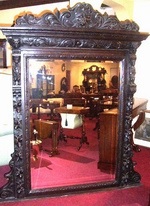 Carved crest detail is stunning. 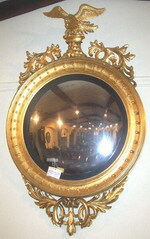 59 1/8" x 51 3/4" max width. 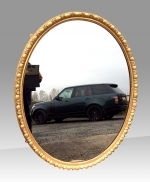 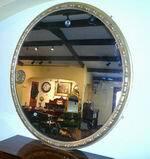 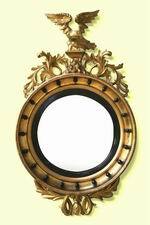 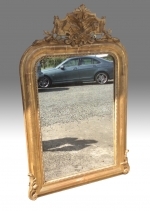 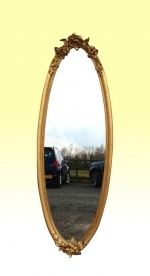 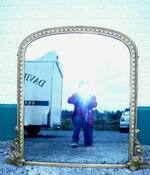 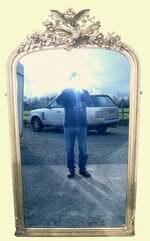 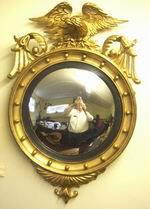 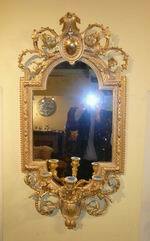 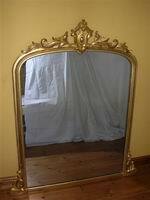 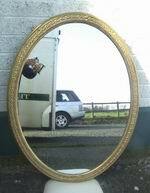 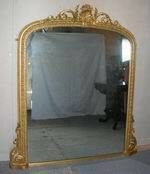 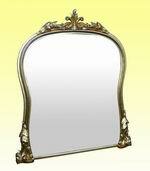 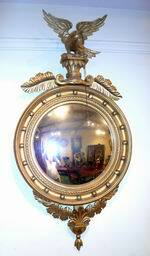 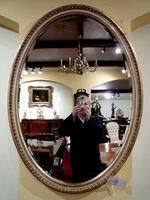 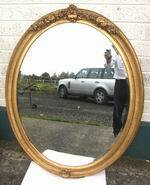 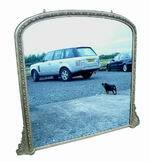 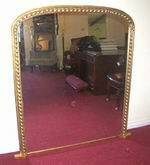 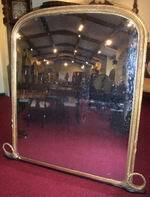 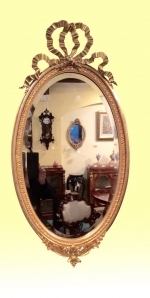 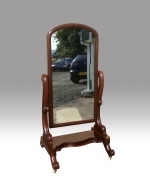 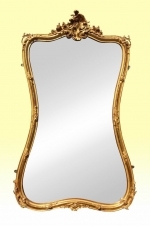 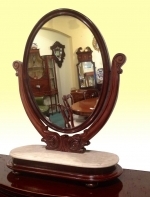 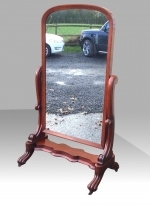 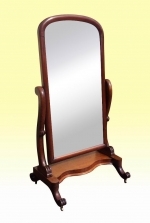 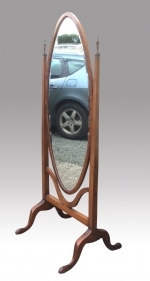 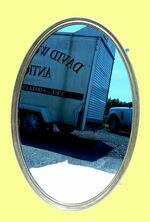 Fabulous Large Antique English Giltwood Oval Wall Mirror. 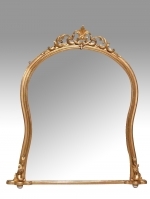 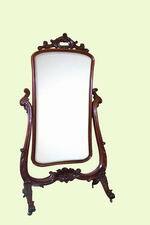 Fabulous Large Antique English Giltwood Oval Wall Mirror c 1880. 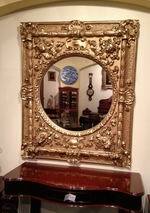 All carved and water-gilded wood. 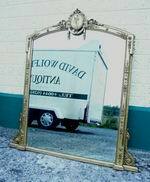 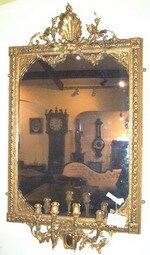 Wonderful original gilding and mirror plate.Original backing boards. 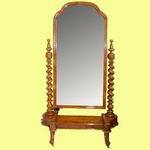 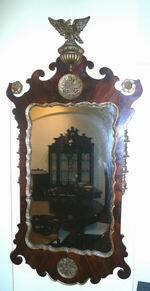 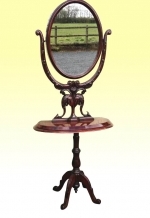 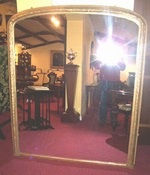 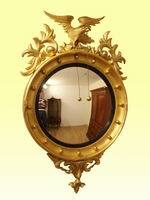 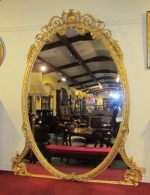 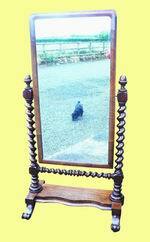 Fabulous Large English Gilt Overmantle Mirror c1875. 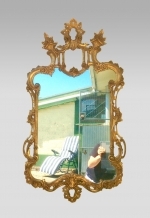 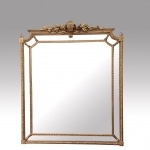 Antique Gilded Regency Triptych Overmantel Mirror with Frieze . 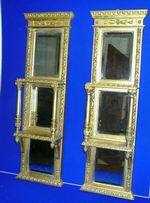 Antique Gilded Triptych Overmantel Mirror with Frieze .